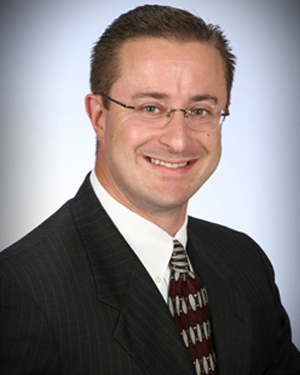 Lee is a leading sales management strategist and Founder of Sales Architects. He specializes in helping companies hire the right sales people, effectively onboard them and align their activities with business objectives. Using his sales architecture™ methodology, Lee’s clients migrate from being “people-based” to “process-based”resulting in explosive, profitable growth. “Soar Despite Your Dodo Sales Manager” (WBusiness Books), Lee’s award-winning book, presents his sales architecture™ methodology. Inspired by a disturbing trend in business, the chasm between sales people and their sales managers, he saw the power in bridging the gap. He recognized that businesses were losing millions of dollars due to underperforming sales people which could be remedied through process. The Revenue Accelerator is Lee’s latest venture – a sales learning management system designed for quickly and effectively onboarding new hire sales people. One of the areas Lee identified that causes underperforming sales people is how they are onboarded into the sales role. His web-based technology system is designed to reduce new hire ramp-up time and increase their sales performance through a structured onboarding experience. In his co-produced book, Business Expert Guide to Small Business Success (Business Expert Publishing), Lee and twenty contributing authors address issues plaguing small businesses. In the book, Lee presents his strategy for developing an effective sales compensation plan. His articles have been published on hundreds of websites and magazines. He’s also been quoted and featured by the media including the Wall Street Journal, New York Times, Dallas Morning News, Selling Power, SalesforceXP, Sales and Marketing Management, ABC News, MSNBC and many more leading publications. His work in talent management led him to be ranked #14 in the Top 25 Online Influencers in Talent Management by HR Examiner for 2011. Lee is also the host of The Sales Management Minute podcast series in which he provides sales leaders and business executives with the tools they need to thrive. Lee’s work in salesforce knowledge and skill development sparked the idea of virtually connecting industry thought leaders and business professionals. He launched Business Expert Webinars, the leading provider of virtual business training, which today has over 160 speakers delivering over 750 live and on-demand virtual training events. The firm helps speakers monetize their expertise, expand their audience reach, and perfect their craft. In his widely-acclaimed, best-selling book “Stop Speaking for Free! The Ultimate Guide to Making Money with Webinars” (Business Expert Publishing), he teaches experts the step-by-step process to succeeding with pay-to-attend Webinars. Today, Lee is the go-to expert for attendee-funded Webinar insight.